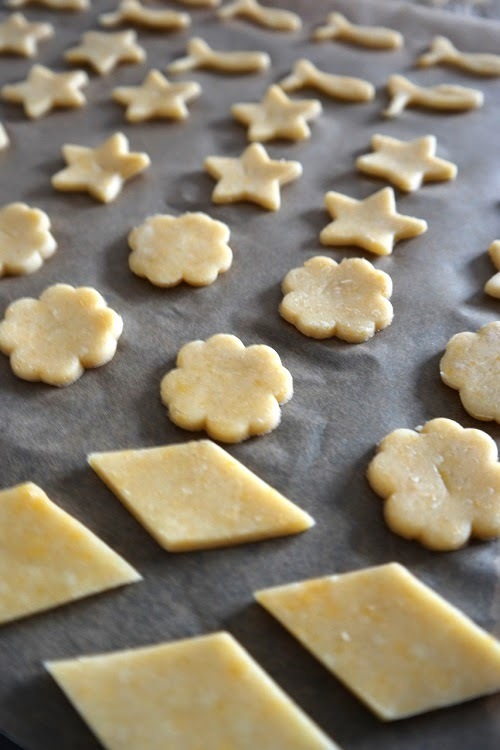 I looked troough some old stuf and found this recipe, it must be from my tie in the US. 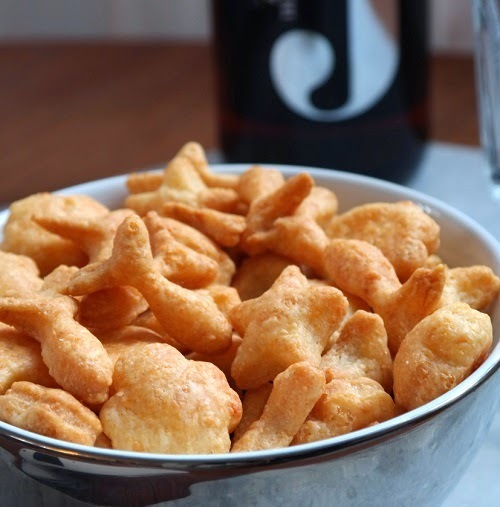 I’ve never tried to make this myself, but out of curiosity I wanted to try to make them, I remember them as tasty little treats. 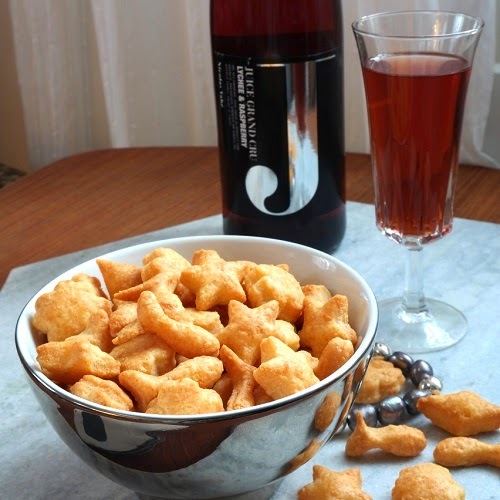 The recipe for these snacks are similar to a short crust pastry. 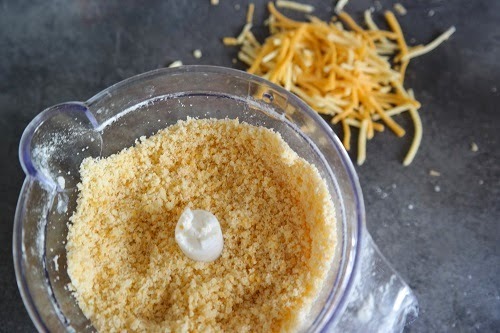 Grate the cheese and combine everything in a food processor/blender except the water,. Blend utill the mixture is like coarse sand, then add the water 1 tablespoon at a time while blending, the dough wil start to come together. Tip the dough out and wrap the dough and let it rest in the fridge for about half an hour. Next step is to roll the dough thin and cut out little figures. 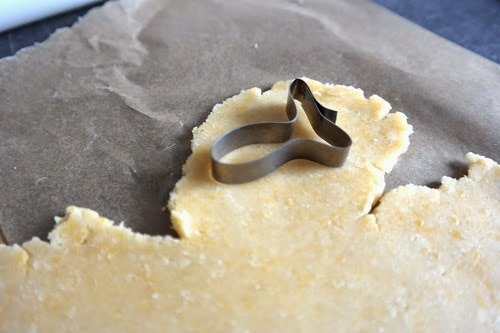 I made a little fish shape cookie cutter from an old broken one, but you can make any shapes you want. 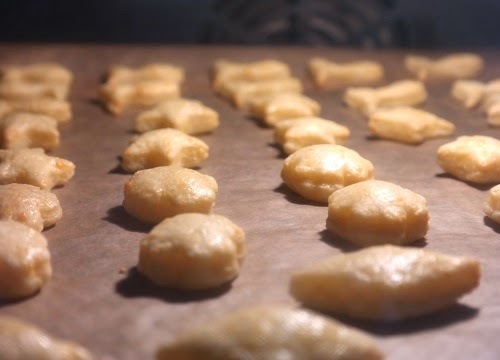 Put the cut outs on a bakingtray lined with bakingpaper and bake them in the middle of a preheated oven on 180 C for about 15 minutes or untill golden and crunchy. 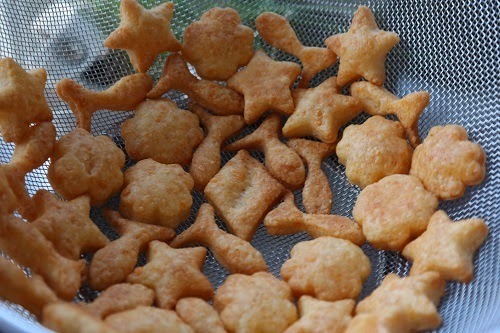 When done let the finished snacks cool on a “rack”, I put them in a strainer. To get as much as possible out of the dough it is best to make square or diamonds.